When I first started learning to sew/ quilt (Yes, I was doing both at the same time!) I felt like the only person who didn’t know how to sew on the sewing machine and the only person in the world who couldn’t sew even a basic seam with a needle and thread. The embarrassment increased as I learnt even my husband knew how to do this. In any case when I started learning to sew, I didn’t know where to start. I found lots of sewing books that showed me many techniques for making a blouse, or hemming a dress, but making a quilt from scratch with no previous sewing skills: Now, that I couldn’t find. Needless to say, I spent a lot of wasted hours, first searching English bookstores of Amsterdam, then in front of my laptop, and finally in my local textile library (despite its surprisingly decent selection of quilting books) searching for information that just didn’t seem to exist. Eventually, I decided to make a simple pincushion. I didn’t look for a tutorial, just opened a book I had bought and figured out how to make a seam. That was my first step. 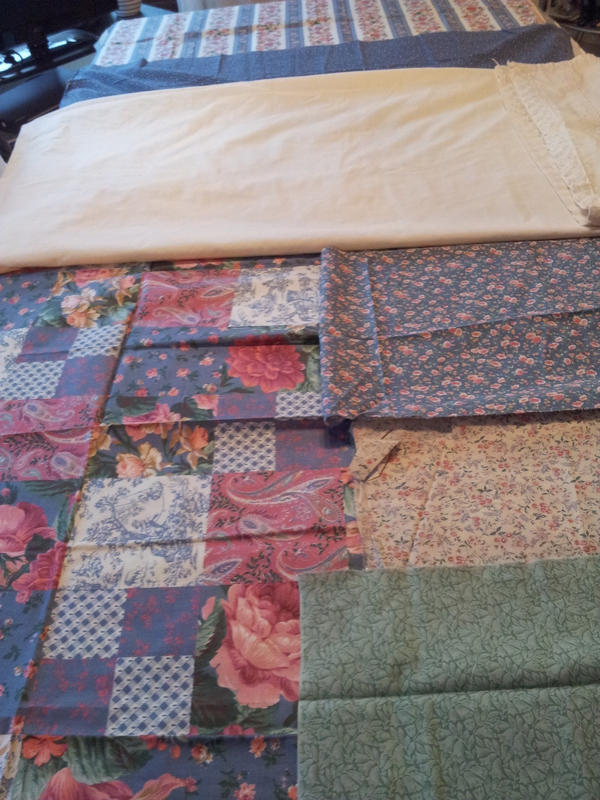 But I had all this beautiful fabric and I was desperate to get started, so I decided to make a pillow. That couldn’t be very difficult, right? I spent ages before realizing that for my specific fabric scraps, I was not going to find that perfect tutorial. Yet again, I went for the “Just Wing It!” technique. One day I came across a video for how to make a 9-patch potholder, and suddenly I had a pattern for my pillow. Making my 9-patch pillow pattern. It was a very professional looking, thorough video and I watched it over and over, eventually having to turn off the old, silent film style music that played in the background. But no matter how many times I watched the video I couldn’t get my brand new Bernina “Bernette 15” to sew more than a few stitches before jamming and sending me into a spiral of absolute frustration. So, I did what any frustrated lone wannabe quilter would do, I made the pillow by hand. I didn’t really care that it turned out the size of a dolls pillow, but that little sense of accomplishment was enough to get me through one more pillow before I decided I was up for making my first quilt. Looking back, all I can think is: If I had only known then, what I know now! If I had not been fixated on using that specific fabric or if I had taken those sewing/quilting lessons a little sooner!! Life would have been a lot easier, and I would have finished that quilt a lot sooner! If, if, if! But those are just some of the lessons we learn on the beginner quilter’s journey. When I was scanning all those quilting websites and blogs, all I could think was that none of the information was geared to people like me, the beginner sewer and/or quilter. I thought how helpful it would be if there were just one place I could go for the specific information I needed. When I started this blog, one of my main goals was to collect all the resources I find useful for the beginner quilter and put them in one place, so that not only I, but also my fellow beginner quilters (or quilting wannabes) can find them. Let me tell you, it can get pretty depressing once you see all those pretty things to make out there and don’t know even know how to get started. 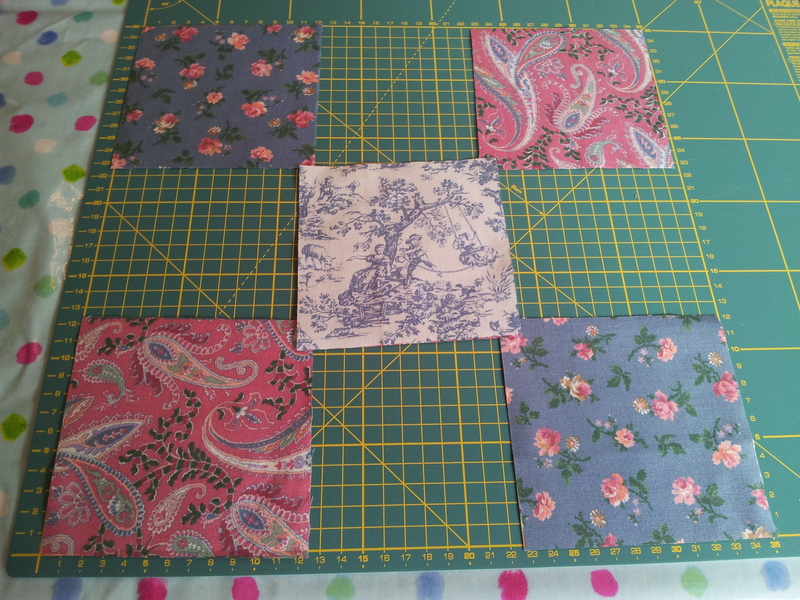 So Quilting Wannabe, so beginner quilter keep an eye on this site, I will be posting those links and resources, which I hope will help you on your journey. As I don’t want to be on my beginner quilter’s journey alone, feel free to share with me your questions, comments or your own stories of your own personal journey. I would love to hear from you!